Home » Blog » There’s still time to support our plunge for the planet! There’s still time to support our plunge for the planet! On Saturday, January 26th, a brave group of Forklifters are plunging into a really cold river in order to help keep winter cold. 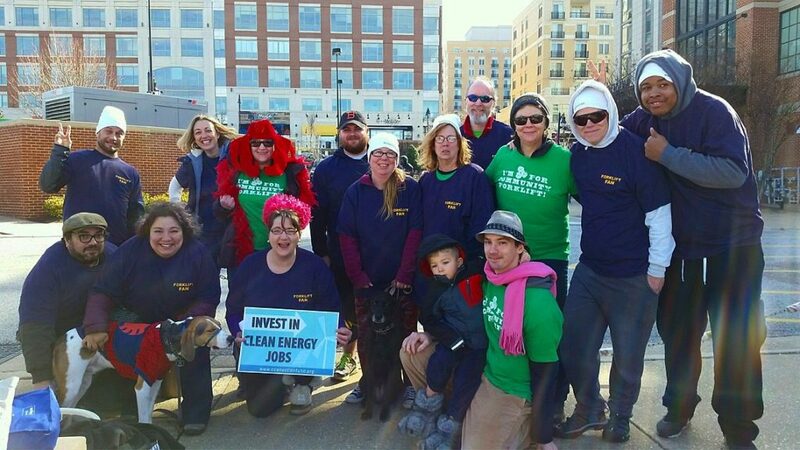 This is our sixth time joining the Chesapeake Climate Action Network (CCAN) for their annual environmentally-focused Polar Bear Plunge down at National Harbor, and we still need your help! January’s not over yet, so it’s not too late to start the new year off with a good deed. If you want to support our efforts, you can donate to our team. 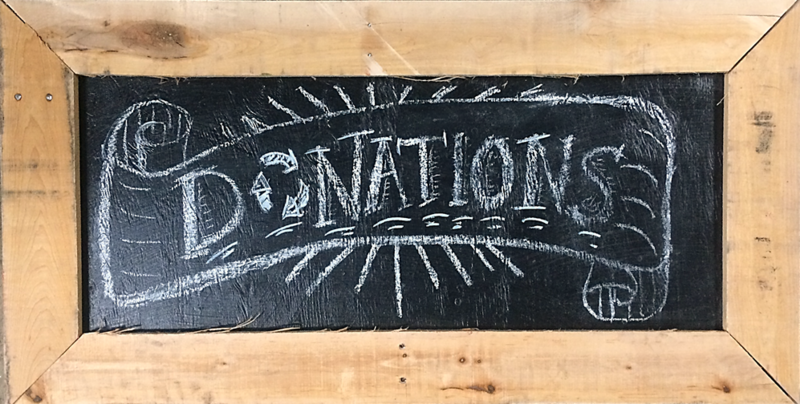 Your donation will directly support both CCAN’s environmental work and the Forklift. 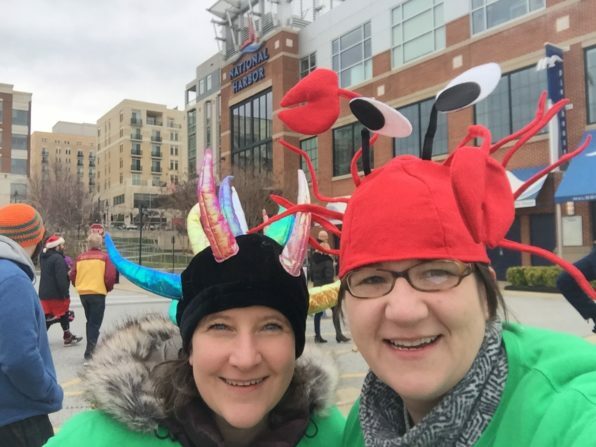 This is the work you’re supporting if you donate to our plunge team! Plus, if the Forklift Freezers meet our fundraising goal of $1,000, Community Forklift receives part of the proceeds! We’re only $255 away, and we’ve met this goal every single year we’ve participated. The money we earn from the plunge each year goes a long way towards helping us lift up local communities through reuse. It’s funding that helps us continue working to keep perfectly good stuff out of the landfill, preserve historic materials, provide low-cost building supplies, support neighbors in need, and create green jobs and economic opportunities.